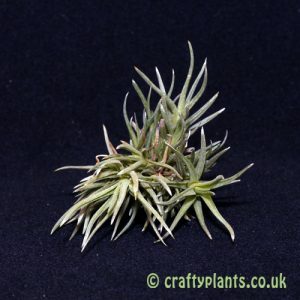 A larger form of Tillandsia Tenuifolia, Tillandsia Tenuifolia Bronze Giant has slightly finer leaves than Tillandsia Tenuifolia which blush bronze when the plant is given plenty of light and remain a deep green in more shaded conditions. 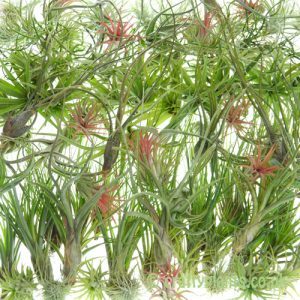 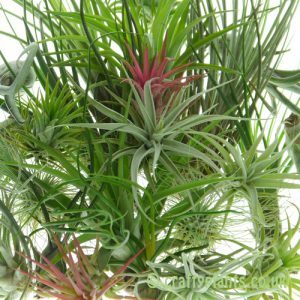 An easy to grow airplant, Tillandsia Tenuifolia Bronze Giant produces white flowers on a pinkish red flower spike. 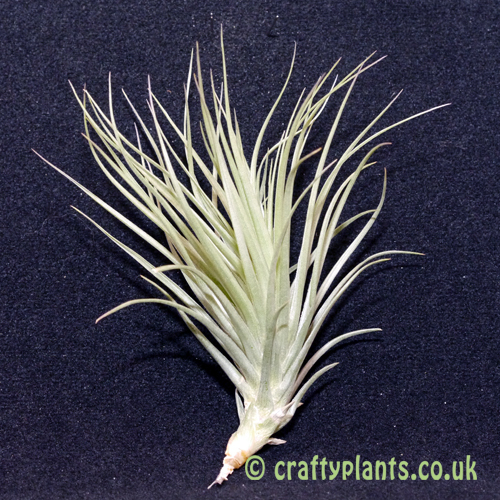 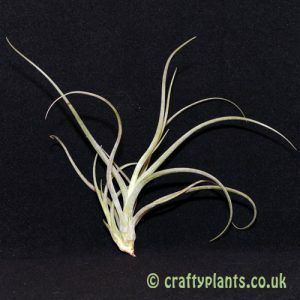 I like this plant very much, it came in a decent size and it is a very healthy looking in a bright green colourm more like the lower picture above which contrasts very nicely against the more silvery airplants in my collection. 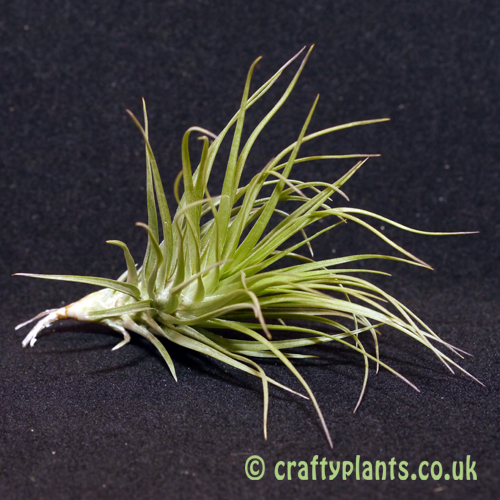 Fits perfectly inside a flintstone with a hole in the middle and looks great.